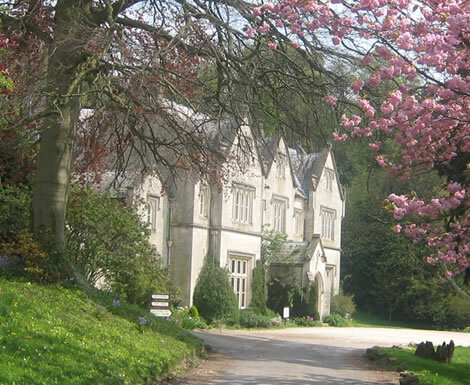 On 13-14 November 2018, ACA was generously hosted by the Potential Trust at Hawkwood House for a conference. The Potential Trust is an educational charity, which labels itself as a ‘centre for future thinking’ and gifts organisations with the space to discuss ideas pertaining to children and young people. On the first day of the conference, guests presented practice and experience from the organisations they were representing. This included discussion of ACA’s Listening to Children and Arts Backpack projects. Emerging themes during the morning were the isolation of children and how the arts has the power to reverse this issue; how the arts can improve wellbeing; the importance of participative theatre; and the emergence of libraries as cultural hubs – replacing lost facilities such as youth clubs. Attendees agreed that early intervention can help prevent anti-social behaviour and the development of mental health issues, and that a stronger case needs to be made for the role of arts education – beginning with early-years – as one of the preventative measures. There was also a lengthy discussion about the need for all the voices within the arts advocating for children’s cultural rights to seek to come together and to work to understand better why they are currently not being heard and failing to persuade policy makers of the importance of the Arts for all children. Other topics included Drama Advisors (who used to work in local councils to support teachers); the benefit of the arts for gifted children; and the cultural heritage values of arts. Those in attendance were: Anna Comino-James (Potential Trust), Elizabeth Greaves (ACA Member), Jamila Gavin (ACA Patron), Janet Robertson (ACA Trustee), Vicky Ireland (ACA Chair), Krystyna Budzynska (Royal Academy of Music), Lucy Nicholls (ACE Theatre Change Maker), Matthew Crowfoot (Polka Theatre), Penny Hay (5x5x5=creativity), Pete Dowse (Chickenshed), and Gemma Bhagalia (The Spark Arts).